Pros and Cons of Debt Settlement - How to Get Your Debts Legally Dismissed with Legal Debt Dismissal? Debt settlement is a method through which a creditor and debtor negotiate on same grounds in order to fix the debt. Debt settlement services are provided by many for-profit organizations. These firms can negotiate and convince a creditor to fix debt with money that is less than the actual debt money. In return for debt settlement offer, these companies make a debt settlement agreement with debtor asking him to transfer a specific amount of money from savings into organization’s account every month. The firm takes its fees for negotiation and forwards remaining money to the creditor each month. 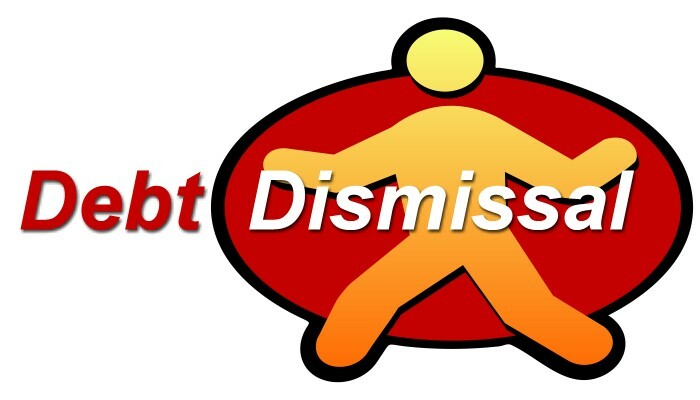 Consequences of debt settlement may result in an advantageous situation for debtor and seems a debt dismissal but in some cases, debt settlement proves to be a disadvantage for the debtor. Therefore, whenever you apply for debt settlement, it’s important to consider pros and cons carefully. Below are described pros and cons of debt settlement. Debt settlement offers an easy way to pay off your overwhelming debts that seem very hard to pay. It helps in reducing your actual debt amount through debt relief settlement. In this way, you pay debt settlement offer percentage that is less than what you owe which makes your life easy and encourage you to pay off the debt money. Being bankrupt is a blot that sticks to you for the rest of your life. It never washes away because it is noted down on your credit cards, bank statements, and personal records. Debt settlement firms come into action and provide you with a debt settlement lawyer who expertly negotiates with the creditor before you get bankrupt. Debt settlement report remains on your credit records only for seven years and after that, your record gets free from any type of settlement. Debt settlement frees you from financial stress and helps you in thinking of best options in order to get out of financial crisis. You get the motivation to prepare financial strategies and plans for your business and family with ease. In this way, debt settlement minimizes the chances of economic depression and anxiety. Debt settlement firms do provide a way to pay your debts easily but high fees are still a problem. Many firms charge up to 20% of the whole financial settlement amount. Though debt settlement report remains on your credit history for 7 years. But still, it brings a negative impact that you did not pay off all the money you owe which results in negative credit rating. Debt settlement agreement often pushes you in long payment time frames. You agree to pay a specific amount of money every monthly for 3 to 4 consecutive years that makes it much tedious. Moreover, it never gives you a chance to make a financial plan for your future. Debt settlement scams are very common. Fake firms target overwhelmed people and take advantage of panic situations. Such panic debtors trust in these scammers blindly and keep on paying them money without confirming if it is legitimate debt settlement and the lender has agreed to it or not.